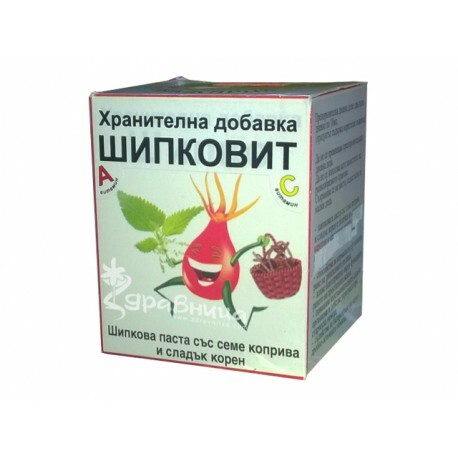 "Shipkovit" is a 100% natural product (a dietary supplement), composed of: Fruit of the rose (50%), seed of nettle (30%), licorice (5%), honey and water. 100% natural product, made in Bulgaria! 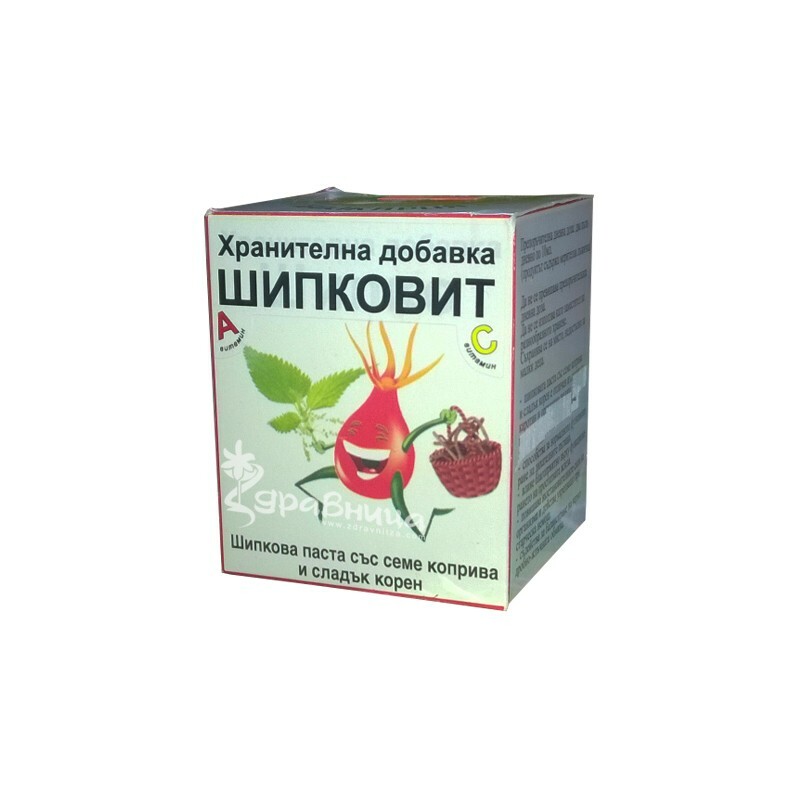 - Helps to balance the liver and bile metabolism. In "SHIPKOVIT" added seeds of nettles and liquorice Quito are an excellent source of carotene and organic iron. Recommended daily dose - twice a day for 10 ml. Do not exceed the recommended daily dose. Do not use as a substitute for a varied diet.